Lightweight rivals Khabib Nurmagomedov and Conor McGregor have really been ramping up the trash talk lately, and that trend isn’t showing any signs of stopping. 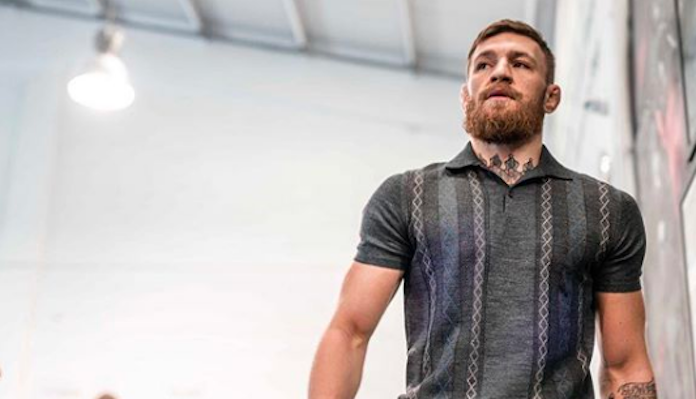 On Wednesday morning, McGregor took to Twitter where he reacted to the news that UFC heavyweight Ruslan Magomedov, a training partner and countryman of Nurmagomedov, has been hit with a lifetime ban by the United States Anti-Doping Agency (USADA). McGregor also reminded the world that Zubaira Tukhugov, another Nurmagomedov training partner, has also been hit with a USADA suspension in the past. “Wow another dagestani caught abusing steroids. That’s 2 out of 3 in this picture busted for steroid abuse, with the most recent being busted 3 times in a row and now hit with a lifetime ban. Excellent job @JeffNovitzkyUFC. The only vice that cannot be forgiven is hypocrisy.” – Conor McGregor on Twitter. Conor McGregor and Khabib Nurmagomedov fought in November of 2018, in the main event of the record-shattering UFC 229 pay-per-view. Nurmagomedov won this fight by fourth-round submission, retaining his lightweight title in the process. Since then, the two rivals have ceaselessly swapped trash talk on social media and in interviews. Their mutual animosity has spiked to new heights over the last week, most notably when McGregor made a particularly virulent comment targeting Nurmagomedov’s wife. What do you think of the ongoing beef between Khabib Nurmagomedov and Conor McGregor?